Wagenswest Porsche to VW bus 5 on 130mm disc brake kit. 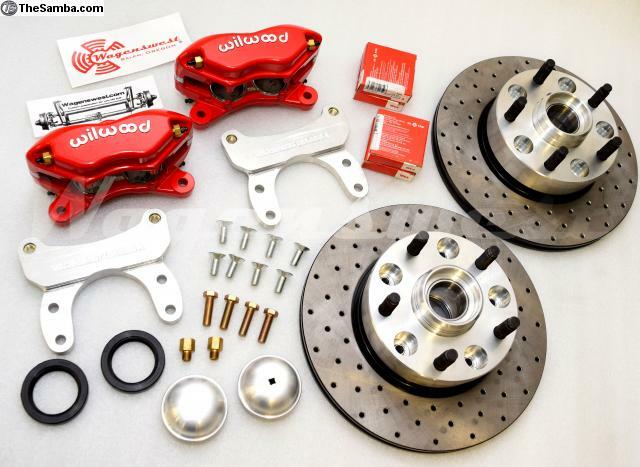 A front disc brake kit, for mid 1963 to 1970 Volkswagen buses, when converting to Porsche bolt pattern. Engineered slowly over the years. 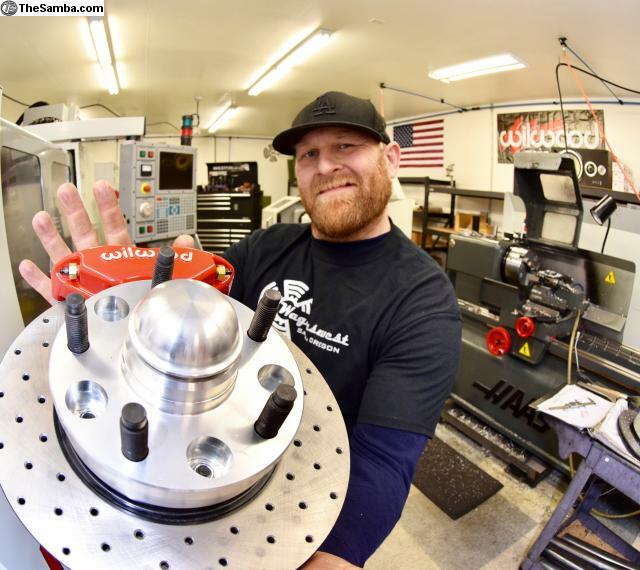 Honestly this type of disc brake conversion really started with bus enthusiast adapting 944 front hubs and 944 rotors to the 1963-70 VW bus spindles. On these early conversions,we used stock Porsche hubs and rotors, bearing spacers, stretched caps, custom brackets and stock calipers. Over time it has become considerably harder to source OEM Porsche parts. These used parts are often found to be in very poor shape. Years later, after making needed modifications to the hub design, we started making them new - out of 6061 billet aluminum. 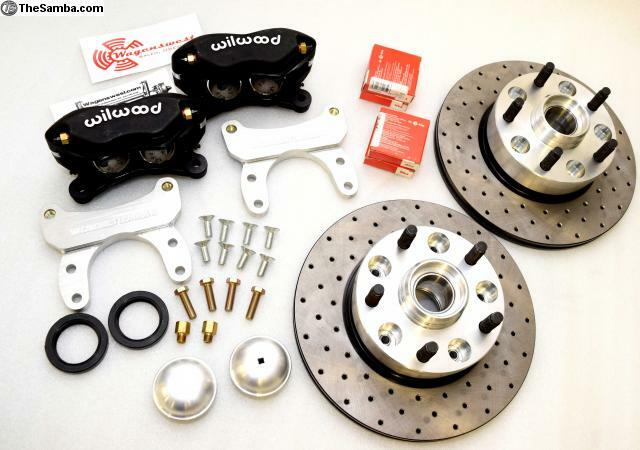 Added new grease caps, billet Wilwood caliper brackets and 4 piston Wilwood calipers, now we have the best Porsche disc conversion you can get for your VW bus. Using high quality components, mostly all made here in the USA - this kit is a great way to stop your bus. When it comes time for new rotors you can just order them from your local auto parts store or online, Because we are using readily available parts that work! These brakes work on stock or dropped spindles and will fit inside most stock and aftermarket Porsche 15" inch wheels. In the kit is everything in the photos + pads, everything to do the job minus grease and brake fluid. And you might consider installing a disc brake compatible master cylinder. For European and Australian regulations, we offer a dust booted caliper option for nominal charge, option available in the shopping cart as an upgrade . To save 100.00 on this kit, use coupon code -- thesamba -- at checkout. Wagenswest bus beam adjusters IN STOCK!